BCNext posted his intentions for Nxt in 3 parts. Below u’ll find a short description of Nxt mining system. The description is based on text written by BCNext, I paraphrase it in my own words to protect BCNext’s real identity against text style analysis (as was agreed). 1. Part of the miners leave the “legit” branch of the blockchain and start mining their own branch. The 2nd scenario can’t be applied to Nxt, coz no NXTs exist outside the network. Let’s look closer at the 1st scenario. Yesterday the average base target was ~700%. This means that only 1/7 of all stakeholders were generating blocks, we can’t say if the rest 6/7 were hit by bus or trying to fork Nxt blockchain. This is in the current Nxt implementation. BCNext is satisfied with the results shown during last 2 weeks and now is going to adjust the mining algo a little bit to make it transparent. The network can detect which miners don’t take part in block generation and act accordingly. Imagine someone is going to do a “51%” attack against Nxt and he owns 90% of all coins. The adversary must stop generating blocks for legit branch coz he won’t be able to compete against 100% mining power with his 90%. So he decides to “skip” his turn to generate a block. The rest 10% of the network detects this and penalizes the adversary by setting his mining power to 0 and distributing it among other miners. Now the network is back to 100% power coz everyone got 10-fold increase. The adversary can mine other branch in a secret place but it won’t be able to replace the legit branch. Of course, the 2nd branch will have 100% “hashing” power tied to it as well, coz the attacker will get his 90% bumped to 100% but this can be counteracted by some mechanisms of advanced consensus (still not revealed). As a 100% PoS currency Nxt is protected against a government wealthy entity that could buy/produce a lot of ASICs, with the transparent mining it’s protected even against someone buying most of the coins. This is a short description. Ask questions that will help to make the description more clear. PS: Cunicula, BCNext is waiting for ur approval on this. Below u’ll find the 2nd part of Transparent Mining essay, the 1st part is available here – https://bitcointalk.org/index.php?topic=364218.0. The essay is based on text written by BCNext, I paraphrase it in my own words to protect BCNext’s real identity against text style analysis (as was agreed). Nxt mining uses a deterministic lottery that grants right to mine next blocks. Time of a next block is determined by the time of the previous block and by the base target. The base target is a part of Bitcoin legacy that should be left behind, it doesn’t make sense to wait when next block is mined coz we already know who will do it. And we can mine blocks at a fixed rate, for example, every 60000 ms (exactly 1 min). When Internet becomes faster we will switch to a smaller gap between blocks (10 seconds, for example). Mining reward is another obsolete part. True reward for supporting Nxt network comes from services that use Nxt. Someone owns a currency exchange and mine blocks to keep his business running. Another one owns a shop and mine blocks to keep his business running. The 3rd person owns a software company that develops programs for Nxt-based services and mine blocks to keep his business running. Selfish miners (those who mine only to earn fees) should be “removed” from the system, they r not interested in success of Nxt and only want to cash-out. If a clone appears such the people will likely jump to another ship, they add very little value to Nxt. All this doesn’t mean that we should get rid of fees completely, we still need them as a countermeasure against spamming. 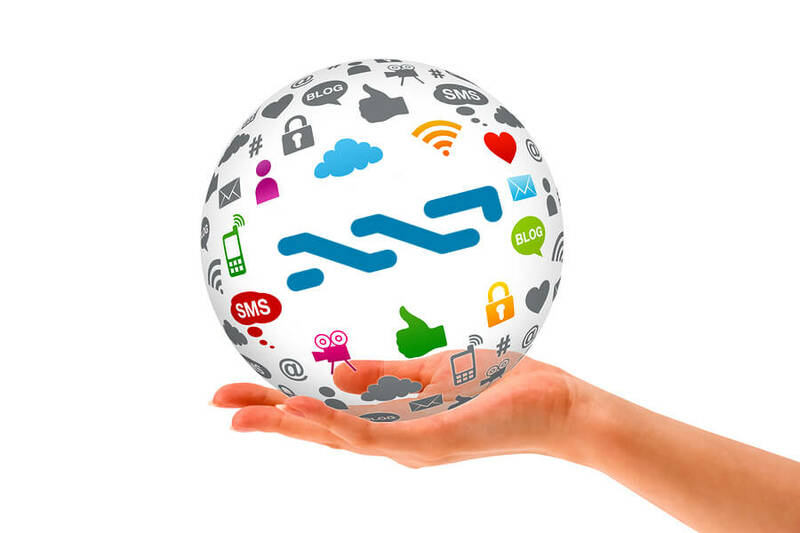 NXTs as coins… NXTs r not coins, at least the creator of Nxt didn’t want them to be coins. They r tokens that grant privileges to support Nxt. Deflation is not much better than inflation, “real” coins should be created on top of Nxt and be issued in quantities that keep their value constant. BCNext understands that this is very arguable, the community should decide if it wants to follow the path showed by him or stick to Bitcoin legacy with unchangeable supply of coins in hope to become rich by doing nothing. Trust noone – this is a very important principle. Nxt doesn’t rely on trust but solves the problem of trust in another way. It evolves to a system that doesn’t care about trust coz everything will be very clear. Transparency extended to absolute leads to inability to cheat thus removing necessity to think if someone should trust another one. Below u’ll find the 3rd part of Transparent Mining essay, the 1st and 2nd parts r available here – https://bitcointalk.org/index.php?topic=364218.0 andhttps://bitcointalk.org/index.php?topic=458036.0. The essay is based on text written by BCNext, I paraphrase it in my own words to protect BCNext’s real identity against text style analysis (as was agreed). Q: What are the most inportant 5 things the community should do, in order to properly support Nxt in the next 6 months?